Law School Case Briefs | Legal Outlines | Study Materials: The Ultimate Law School Strategy Guide: How to Excel at Law School, Get Top Grades, and Transfer to a Higher Ranked Law School. Help Support This Site: Please Donate Your Old Notes and Outlines! Thinking of Dropping Out of Law School? The Ultimate Law School Strategy Guide: How to Excel at Law School, Get Top Grades, and Transfer to a Higher Ranked Law School. Looking to find books on how to do well in law school? Look no further! NEW SECOND EDITION: PACKED FULL OF TIPS AND HINTS THAT HAVE HELPED MANY LAW STUDENTS TRANSFER AND ACHIEVE A HIGH CLASS RANK! Click to see how to get this eBook FREE of charge! Order now through PayPal: The Ultimate Law School Strategy Guide: 2nd Edition ONLY $8.99! "What books should I read to prepare for law school?" Success in law school is universally seen as important. Today, when many law school graduates are ending their three year legal education with unemployment or underemployment you may find that median grades will not get you where you want to be. There are many eBooks out there that promise you that you can get by in law school, or even excel with a minimum level of work. Some state that you can literally skip class and party every evening and bring in the top grades. The reality is that most law school students will not get the best grades without a winning law school strategy. Further, law school is a very challenging undertaking that requires you to give your best performance if you want to be on the top. What's at stake? First, if you are going to a lower rated law school, you may have heard stories about people transferring to better law schools after their first year. However, transferring law schools requires grades that put you well above average. In fact, the students that are able to move to the top schools often have grades that put them in the top 5-10% of their class. Are you going to bet your career on a method that tells you that you can get by with minimal work? I wouldn't. Not when the stakes are so high. I would argue that even on day one, at least half of the class probably doesn’t have a chance in being in the top ten to twenty percent of the class. Why? Because most of the class is not armed with the methods of getting the top grades. Further, they think that they can do well by virtue of reading the textbook or horn books over and over again. This is not how one excels in law school. Are you armed with the methods that will get you top grades? The truth is, law school requires a lot of work, but not all the work that you put into law school is the right type of work. Many people do work too hard on matters that matter little in the whole scheme of law school. If you want to succeed in law school, you need a solid plan, well thought out goals, and you have to know how to maximize your time. In other words law school requires a winning game plan. I have compiled all the information that has helped me excel in law school and I want to share that information with you. My methods have helped literally hundreds of other law school students, and now they can help you too. I did not study law before starting law school, nor did I come from a distinguished background. I was the first in my family to graduate college and I knew virtually nothing about law school before my first day of class. However, I was able to find success by reading literally hundreds of sources on law school strategies and by applying those methods and others that I have learned throughout life on achieving my dreams. Even if you are a second or even a third year student, my methods can drastically raise your GPA and greatly improve your marketability. While some may say that the law school GPA does not matter in the third year, the reality is that employers do take a very serious look at one's law school GPA and in this economy, you need to be as marketable as possible. Do you want to know how to study for a final exam? Do you want to find the secrets to answering the questions on exams? What are professors looking for when they grade exams? Do you want to know how you can find out the questions that your professor will ask? What are some strategies that a law student can use to find out what a professor is looking for when he/she asks a question that you should be able to know in advance that he/she will ask? Law school students are ranked and graded on a curve, but the reality is that only 10-20% of your students are your real competition, that is, if you are willing to put in the effort to do well. Do you want to know how you can literally eliminate the other 80-90% of your competition and only worry about the other winners? It's not through sneaky and dirty methods, it's about improving the way you think and the way you spend your time in and out of the classroom. Law school success is VERY EASY to achieve, however, most people only realize how easy it was AFTER they finish law school. For them, it's too late. I am offering you the skills that you need to excel in law school in this easy to understand e-book that is full of methods on how to literally own your law school experience. "How do I transfer to a higher ranked law school?" I am offering my eBook, The Ultimate Law School Strategy Guide:, for the very low price of $8.99! Many other eBooks of this size sell for at least double the price. However, it is my mission to make sure that the students that want to achieve law school success can attain it. Further, I don't believe that law students, who are already on a tight enough budget, should be forced to pay an exorbitant price for every book they purchase. As an added bonus, I am including copies of two of my A grade exams in my eBook. Reading and understanding the way that top graded exams are written has helped me excel in law school. I am confident that as you read through my exams that you will be able to glean how to write a winning essay. You will be getting close to 100 pages packed full of law school strategies for under $10! That's less than what you probably spend on lunch. My easy to read and understand eBook will allow you to create a well thought out game plan that will bring you to the head of your class. If you are paying $30,000 or more on a year of law school, there is no reason why you should not arm yourself with a system that can help you obliterate your law school competition. "An excellent read. The Ultimate Law School Strategy Guide helped me to focus on what was important in order to bring in grades that I really don't think I would have been able to get without reading it. Now I am confident I will be able to transfer to a much higher ranked school and be competitive for some of the best jobs out of law school. The tips and strategies that the writer lays out are simple and straightforward, things that I should have thought of, but didn't. I have read other books and while I have found varying methods of success, this one actually helps one formulate a long term strategy that begins far before the final exam. Even if I had read this book in my last semester, it would have been worthwhile. It's definitely worth the $9." 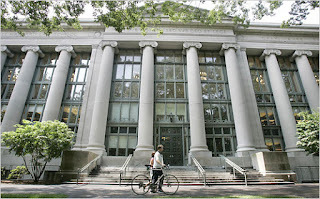 Top grades allow one to move upwards to top tier law schools. I am confident that my eBook is better than almost any other law school eBook out there. Further, my methods are tried and true methods that don't promise that you will not have to work. I don't believe that the highest law school achievers can get by without working, and I am extremely leery of any source that states that you can get by merely putting in minimal work. Instead, I know that the best and brightest put in a great deal of work. However, that being said, many of the top students don't necessarily work more than all of their classmates. Further, 80% of your class expects that they can gun their way to the top of the class by spending hundreds of hours comprised of solely reading and rereading the textbook. The top 10-20% of students, however, work smarter. Now you can be armed with the same methods that these intelligent individuals use to reel in excellent grades, internships, and legal careers. -Preparing for and excelling on law school exams. -Having a solid chance on being in the top 10% of your law school class. -Preparing for the bar exam. -The art of goal setting in the law school context. -Academic and non-academic law school strategies. -Why it is important to get top grades in law school. -How to keep current with material even if you miss a couple of classes.-How to improve your final exam grade if you have already slacked all semester long. -Understanding how a professor grades an exam. 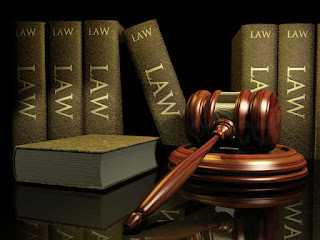 -Understanding what a law professor is looking for in an A grade exam question. -How to effectively use IRAC to write a law exam/bar exam answer. -Using note cards and creative memorization techniques to remember information. -Strategies for creating an effective outline that exceeds that of your peers. -How to discern what to study and what not to study. -Getting letters of recommendation for transferring and job searches. -Is a study group necessary? -Strategies for closed book and open book exams. -How to read and brief a law school case. -How to know what questions will be on the exam before the exam is even written. -Examples and commentaries on well written essays. 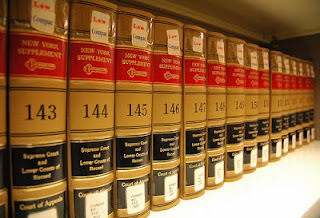 -How to prepare for the bar exam while you are in law school. Further, I am available to answer all your questions about law school, from how to do well, to how to develop your own unique strategies. That means if you want help during your three years of law school, I will be here for you to try to help you improve your grades in law school. If you have put in the effort that is required to get into law school and you are willing to climb your way to the top, than I honestly believe that this book is for you. IF YOU DO NOT LIKE THIS BOOK OR SEE AN IMPROVEMENT IN YOUR GRADES, CONTACT US WITHIN 30 DAYS FOR A FULL REFUND. THE ULTIMATE LAW SCHOOL STRATEGY GUIDE + BONUS eBOOK OF "FROM LAW SCHOOL TO LAYWER"
While in law school I traveled the world. Puerto Rico. Egypt. Israel. The Netherlands. All over the United States. Costa Rica. Panama... How, you ask? I found ways to make money on the side. One of those ways was hosting my apartment on AirBnB. If you have an extra room, this is a perfect way to make some extra cash. Since law school, I have traveled to dozens of countries for pleasure with my family. It's not rocket science. You just need to know how to start some side hustles. Another one of my favorite ways to make money is buying and selling stocks and cryptocurrency on Robinhood. Join now and get a free stock through this link: Join Robinhood and Get a Free Stock! I just have started reading the book. It's a solid read that I would say is worth the money. It's cheaper than many other ebooks and includes many of the same key methods and some tips that should seem obvious. Further, I find that the reading is easy to understand. In other words, it's written for students. I have bought outlines that cost twice this. If you are a 1L or even a 2L I would get this book. Thank you. One of my goals was to make this book relevant for both first year law students and upper class (2L and 3L) law students. I spent time introducing new ideas that a non-law student would want to learn about while discussing how to master those ideas at the same time. As for the price, I did not think that charging over $10 was necessary. I found that many law students are on a tight budget in law school and one part of law school success is budgeting. To charge a hefty price tag would be to discount the importance of spending wisely while in school (with that being said, I think any law school study aid that helps one increase their GPA and rank is a wise investment, whether or not it's the book I wrote). Many law students and prospective law students so far have enjoyed this book. I am glad you have too. I have read this book as well as "Getting to Maybe" and I like this one better. It's more down to Earth and has strategies that I feel that I can use to beat the competition. This one is a lot cheaper and has the same stuff in it. I enjoyed the ebook. I liked how the author is willing to help me out with questions about law school. Further, he/she promised me a copy of an updated version of the book at no charge. For $9 it can't be beat. Law school is not like undergrad. It is a whole different animal. Without this book I think I would have been lost treating it like undergrad. The professors are impressed by my work and I have even increased my grade in Legal Research & Writing by using the methods in this book. We will see how effective it was once I get my grades back, but it was insightful and I highly recommend it. I purchased this book and think that a review is in order. First, the book is good, and definitely worth the price, especially considering that other ebooks that I have read are mostly bullet points and little substance. This book has a lot of substance and is not just filler content like some. While this is not the best ebook on the subject of studying the law, it is a solid read. Again, many other ebooks go for up to $25 and are many are not as good. I would recommend that you add more content and graphs on how to set goals, plan, and study the law. They would be helpful and would add a lot to the book itself. When I purchased the book you emailed stating that you were working on a second edition and would give it to me for free for ordering this copy. Again, that makes me think that this book is definitely worth the price. However, you should consider making some diagrams for your second edition. It would be a solid addition to the book, and I would say that the book would be worth at least twice the price if you added it. Overall this was a good read, many of the stuff was obvious, and many of the things I already knew. However, I have been to a few law school sponsored study strategy classes and think that I could have just skipped them had I read this book. I wish I had it during my first year of law school. Thank you. I tried to make this ebook a lot different than other ebooks on the market. In fact, I had read a lot of the other ebooks on law school and found them full of outline material (such as bullet point lists, etc.) and found that most of the information is easily found online. I wanted to go in more depth about how to do well in law school and what worked for me, as well as other students who transferred and did very well in their first year classes. I also wanted to make the book relevant to the second and third year student who is trying to get better grades in their law school courses before graduating. Law school does not have to be the huge challenge that many people make it out to be. There are a lot of things in my book that I honestly wish I knew during the first semester of law school. Again, thank you for your review, and I am glad you enjoyed the book. Excellent book. I think the strategies are paying off. I honestly feel that I am retaining the information better and I feel that I can see a purpose in all this legal madness. Thank you for the prompt delivery. Thank you. I am enjoying the book and learning much. Agree. It's a pretty good book. I have done pretty good in most of my law school classes, but was lost when it came to both Civil Procedure and Constitutional Law. I tried the hornbooks and supplements, yet I was not getting anywhere. When midterms came I was totally lost. I knew that I needed to do something else, or my high marks in Property, Contracts and Torts would mean little. This book helped me get back on track. I used the methods in this book to improve my study methods in all my classes and not only saw top quartile grades in Constitutional Law and Civil Procedure, but was given top marks in both Contracts and the highest score in my class on Property. I also received an A in Torts which may have not been possible without this book. Thank you for this book! I have read a few books on doing well in law school and I have to say this is definitely one of the better ones. I don't know what the difference was between the two editions, but the second edition I bought had a wide variety of tips and tricks for doing well. I have seen both my GPA as well as my rank move up, which alone is worth the purchase. Thank you. Im a South African student and would really like to get a hold of a copy but accessability is hindered. Is there a chance you could email me the copy of the book. I realise this may be asking for too much but I would like to improve my marks. This book is full of the same solid advice that other books have, but the price on this book is far, far better than the rest. I was given a free copy of this book in exchange for a review, and while I did not expect much due to it being an ebook, the truth is, I was pleasantly surprised with the quality of the information in this book. This book contains much of the same information that larger, much more expensive physical books have for doing well in law school, but for a fraction of the cost. However, this book goes further and talks about the type of lifestyle that a law school student should maintain while in school. The book truthfully states that those who put in the right kind of effort and plan will get the top grades. I followed much of the advice in this book and saw A's and B's in all of my first year classes, and my school grades on a harsh curve. I highly recommend this book. Considering the price, there is no better law school resource out there. I wish I would have bought this book at the beginning of my first semester of law school or the summer before I started, yet the advice was solid to help me create a study plan for the end of my first semester and prepare for spring 2014. I traded my law notes for this book and was very happy with the tips in the book. I expect to turn my law school GPA around with some of the pointers. Thank you for your legal notes. I hope that the tips supplied in this book serve you well. Good luck to you! Read this BEFORE starting law school. NOT during. It will help you tons with how to approach exams. I don't think Planet Law School (too depressing.....we already know that the economy is bad and that most lawyers are poor) or 1L of a Ride (this is a good second book to read adds much more detail to the ENTIRE process of law school) was better than this. It's short, simple and gets to the point. I personally like their explanations of how to tackle each type of law exam essay question/ hypothetical. Also while reading...its useful to type an outline of it OR print this out and just write notes in the margin so you can easily looking things up once your in your 1L semester. Good Luck Guys!!! I wish I read this book sooner. It would have helped me a great deal on my first few exams. It covered everything I wasn't taught in law school. Great tips. Looking forward to using these this fall. Thanks for the book. Reading it now. I was using conventional law school methods to try to do well at my courses. I would show up at class, take good notes, and study hard. I wondered why this was not working for me when my grades were close to median. I realized there was something more to do, but did not know what. After all, I was studying hard for my classes and participating in the discussion. I raised my hand and participated in class discussion. I was always ready for class. I briefed my own law school cases. Yet, I could not figure out what was wrong. After reading this book I realized that what I was doing was not enough. I was just getting by but I had no real method. This book set me on track and made me realize that law school is a lot different than college. Studying all day long and showing up for class does not matter for much if you do not have a method. This book gives you a solid method to succeed. I highly recommend this book to anyone who wants to do what the top students are doing. I have seen my grades increase after reading this book and applying the methods outlined in the Ultimate Law School Guide. I wish I had this book during my first year of law school. After reading it, my grades went up, which I believe was partially because of how this book helped me improve writing law school exams. It helps new law students understand what it means to "think like a lawyer." That is, it gives students a framework for analyzing complex issues. Reading this book helped me to learn how to significantly improve my performance in law school. Had I not used the methods in this book, I would have not done nearly as well as I did. I am thankful for the information in here. I highly recommend this book for new law students who want a head-start improving their legal analysis skills, and especially for students struggling with their legal writing. Law students have so much to read, it's hard to find more time for a book like this. But even reading a few chapters will provide students with a new paradigm for their legal analysis and writing. This book would make a great gift for a student prior to starting law school because it is easy to read and introduces readers to subjects they will cover in their first-year courses. Search Thousands of Case Briefs and Articles. Disclaimer: This is an affiliate link. I have been a member for well over a year and have found this app to be excellent. A great way to get into day trading or making some extra wealth while in law school. I have often tried to make the cases available as links in case you are a student without a textbook. All the information on this site is constantly updated and edited. Furthermore, if you have any outlines you want to share, so that others, free of charge, may benefit, please send those to be posted here. Likewise, if you have case briefs you would like to share, please send them to [email protected]. Please keep in mind that this site makes no warranties as to the accuracy of the cases listed here or the current status of law. These cases are derived from class notes and laws change over time. 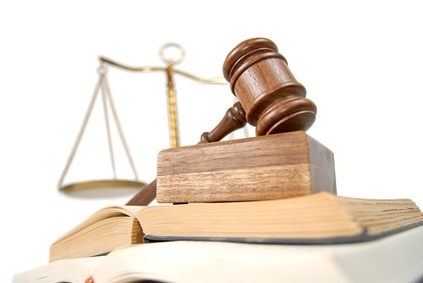 If you have any questions about these materials, or any other legal questions, you should consult an attorney who is a member of the bar of the state you reside in. © 2012 - 2014 lawschoolcasebriefs.net. Powered by Blogger.